Offering 2 Tickets to at least 10 games and up to 1/2 of 2018 season Field Club Amenities, Best Usher in the park, and good folks all around. Easy entry/exit. Per ticket price includes parking pass for Lot A @ $25/game. Ticket prices are at MY COST with no mark-up (face value on the ticket). 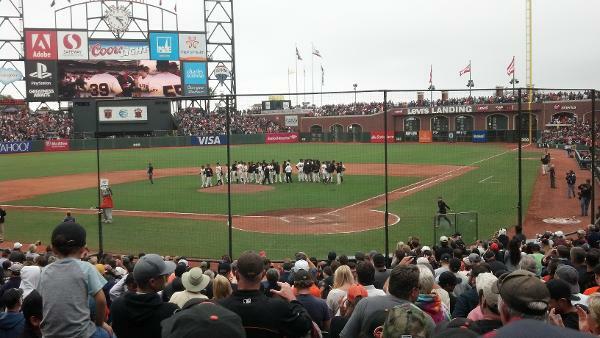 Giants wonky pricing varies ticket cost based on team played, day or weekend, giveaway or not. In 2018, prices ranged from $75 per ticket to $175 per ticket. On average it's approximately $250 for Two Tix+Parking/game, Deposit of 1/2 cost due upon acceptance of partner agreement. Remaining balance due upon delivery of tickets. 10 game minimum. Pick any games you want.